The Roskopp Evolution is the ultimate Roskopp tribute deck. 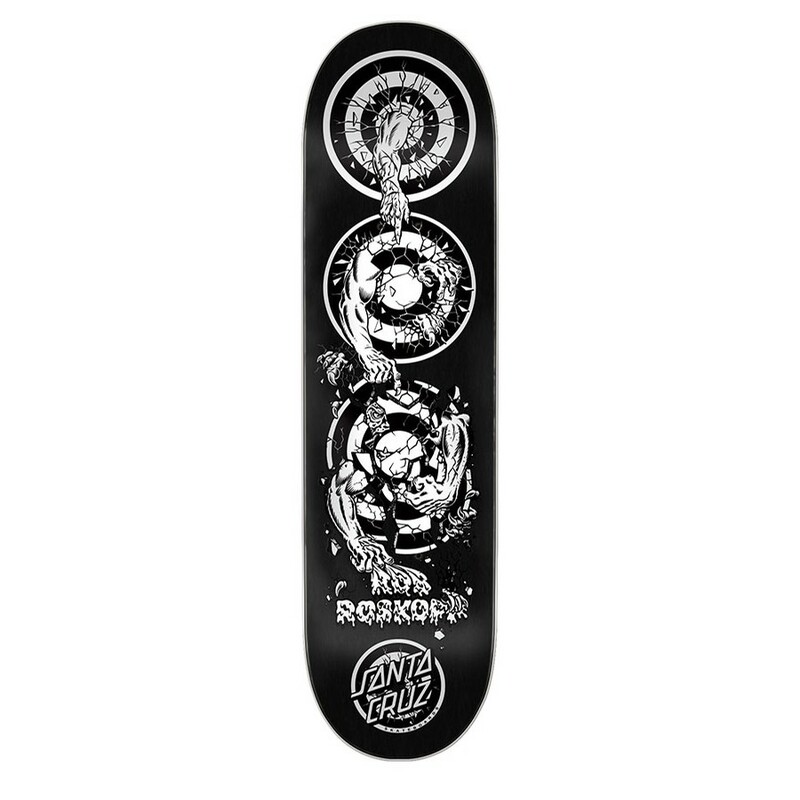 Featuring the Rob 1-5 graphics arranged on the top and bottom graphic, this is the perfect deck for fans of Rob Roskopp, Jim Phillips and Santa Cruz alike. Limited to 500 decks world wide on black!